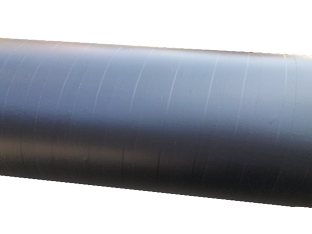 Tape wrap or polyvinyl chloride tape is wrapped to a minimum of 20 mil in thickness or more if required. 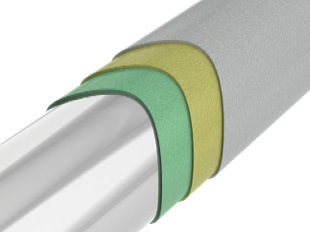 Tape wrap is an good means of protection for the cylinder of the jack unit from moisture than just the standard paint. It is black in color. Epoxy paint is a better means of protection for the cylinder of the jack unit from moisture than the standard paint. It is applied in three separate coats to ensure proper coverage. For added protection combine epoxy paint and tape wrap. 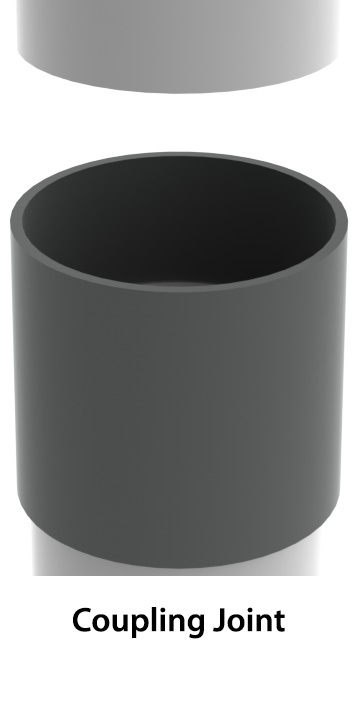 Sealed PVC is attached by a grooved coupling to a welded metal ring. As required by ASME A17.1/CSA B44, inspection ports are provided as a standard feature. 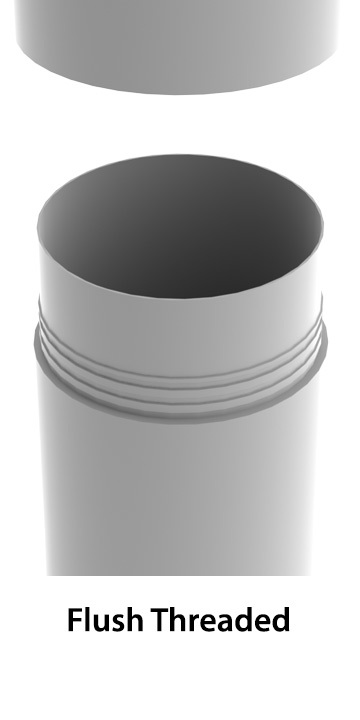 Sealed PVC is available in schedule 40 or schedule 80 wall thicknesses and is furnished in as many sections as required, with a pipe end cap for sealing the lower end. 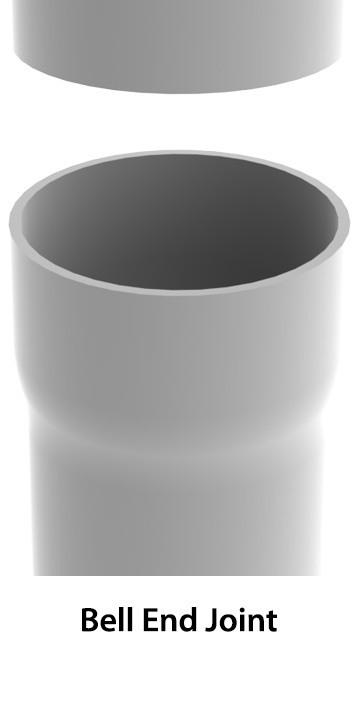 Other connection types available include our flush threaded PVC pipe, which is available from sizes 8 through 14.